Hey I am sure some of you know that blockchain and cryptocurrency is a hot topic in the financial work right now. Previously, I have wrote about what are the differences between Blockchain vs Cryptocurrency and its future. Well, recently we were able to widen our knowledge about this at The BCMY (blockchains.my) Meet Up Summit 2018 that was curated by BCMY Pte. Ltd. held at Sunway Pyramid Convention Centre recently. It was a grand event with about 2,500 people from more than 10 countries such as Thailand, Brunei, Cambodia, Indonesia, Bangladesh, Singapura and Canada. A brief introduction about BCMY, it’s a Financial Technology also refer as FinTech a mobile solution that offers merchant and cryptocurrency payment features. Dato’ Azrainuddin bin Zainal is the founder of DinarDirham, BCMY and Blockspace. BCMY is the primary E-wallet for Dinar Coin (DNC) a crypto asset pegged to the real-time gold value. The mobile solution is an E-wallet equipped with Near Field Communication (NFC) smart card to facilitate simple, secured and quick E-payment. The E-wallet is equipped with blockchain technology, giving users the ability to store and transfer assets instantly across the globe. This gives BCMY users ability to store real gold value in their wallet. What makes BCMY wallet unique is that their wallet is the only wallet that uses NFC which can store multiple assets including DNC offline thus making it more secure. Keynote by Dato’ Azrainuddin bin Zainal, the founder of BCMY Pte. Ltd.
One of the highlight of this event was the keynote by Dato’ Azrainuddin bin Zainal where he explained about the revolutionary technology and also the insight on the new product and platform BCMY has to offer. During the summit, there was panel discussion about The Benefits of Cryptocurrencies Blockchain Technology in our Ecosystem. All the panelists are expertise in their respective fields such as En Nizam Ismail, partner of RHT Law Taylorwessing Singapore from Singapore; Dr Rahayu, Senior Lecturer & Consultant; En Azman Hashim International Business School, Universiti Teknologi Malaysia from Malaysia; Ms Pandu W Sastrowardoyo, Chairwoman of Board of Director, Blockchain Zoo from Indonesia and moderated by the Founder of BCMY Pte. Ltd. himself. It was an insightful information, refreshing perspectives, and exchanges of thoughts of the panelists. Besides these there were also many awesome lucky draws prizes for the guests and also entertainment by Fredo and Harith Iskander. BCMY has received a few awards such as The Swiss Innovation Challenge, the founder of BCMY Pte. Ltd. Dato’ Azrainuddin bin Zainal also spoke at a numerous events such as World Blockchain Summit in Dubai as well as World Blockchain Forum in London. BCMY Meet Up Summit 2018 was curated to celebrate BCMY Pte. Ltd. growth and also provide a platform for cryptocurrency key players, users and enthusiasts to meet up, mingle, learn and educate. Wah there are a lot of crowds from 10 countries. Actually i'm not so familiar with the blockchains.but after read this at least i get some idea what blockchains is all about. Nice sharing. 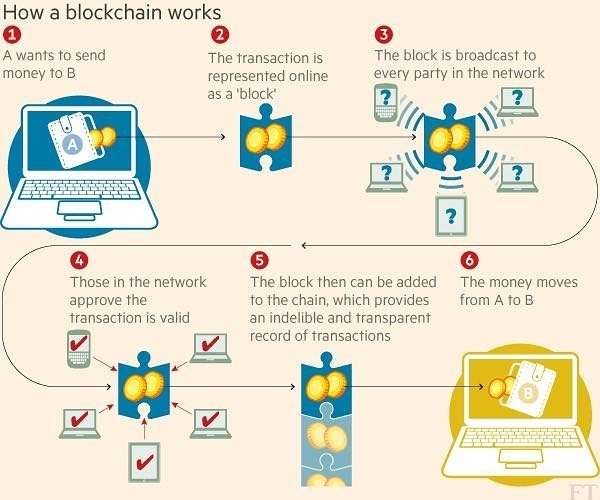 have heard several times about the blockchain but still didnt really understand about the application. However, your entry briefly explains about it. I will check the website for more detail. thank you for sharing this.